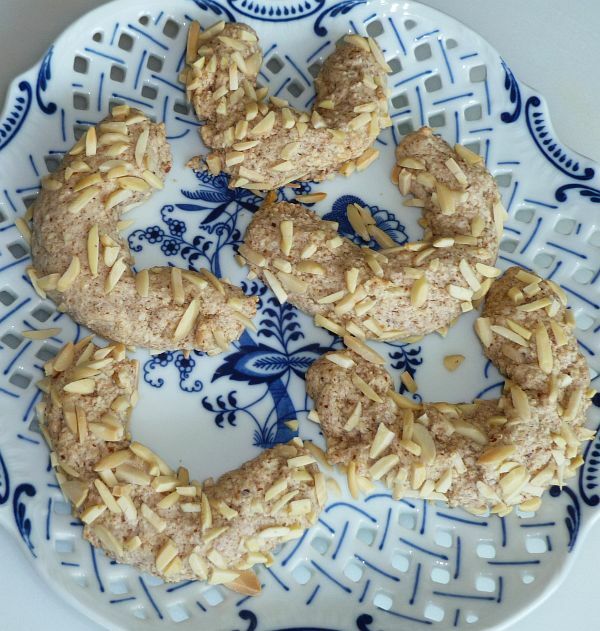 These almond horseshoes are deliciously chewy and gluten-free. They are made from only natural ingredients. Preheat oven to 350°F. Grind the almonds in a food processor or blender to produce almond meal. Combine the almond meal and sugar in a bowl and mix until all the ingredients are well mixed. Beat the egg whites and cream of tartar in a mixing bowl until the whites form stiff peaks. Using a large rubber spatula fold one third of the almond meal mixture into the beaten egg whites until just incorporated. Gradually, add the remaining almond meal mixture while continuing to mix. Prepare some slivered almonds on a plate. Line a baking sheet with parchment paper. Oil your hands to form the sticky dough into 4-inch logs. 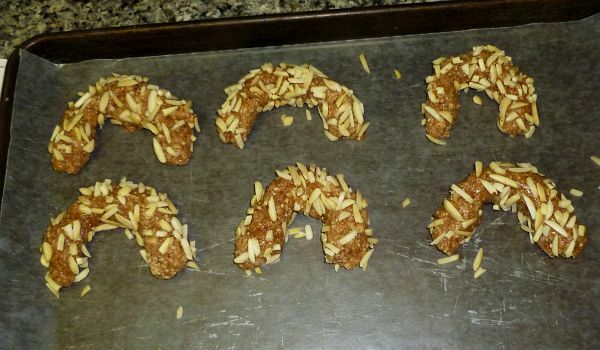 Roll the logs in the plate with slivered almonds, form the horseshoes and transfer them to the baking sheet. Bake for approximately 15 minutes until the bottoms of the horseshoes are lightly golden brown. The centers will still be soft. Cool the horseshoes for 5 minutes on the baking sheet to let them firm up, and then transfer to a wire rack to cool completely before serving. If desired, dip the ends of the horseshoes in melted chocolate.